By romein, November 18, 2009 in Plugins - Publishing ONLY! The Text Pro plugin helps you to create all kinds of text effects. 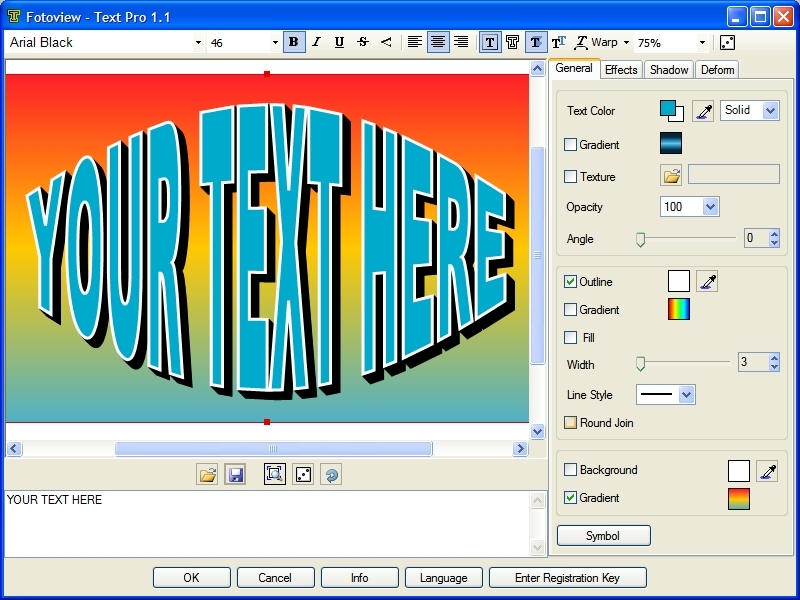 The Text Pro plugin is a watermarked version. The plugin will operate normally, but images will be rendered with a watermark. You can order the full version for 19 euro. Shortly after completing the purchase you will receive an email with the registration key. The watermark will disappear once you activate the product online. if you could delete your ad it would be great, but so..
and you have to buy a license :? Copyright © 2009 Fotoview. All Rights Reserved. 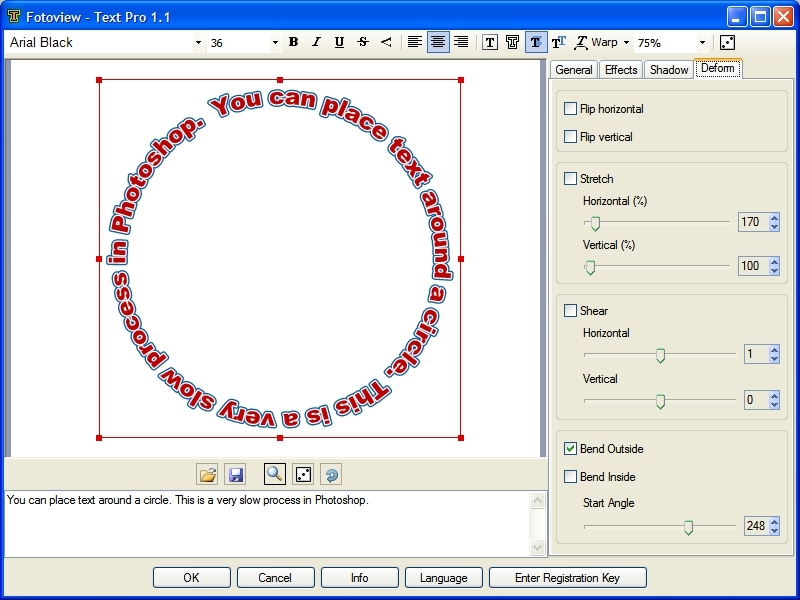 Text Pro is shareware and is a limited version. If you want to continue using Text Pro you will need to purchase a registration key from the programs author. By installing Text Pro on any computer the user acknowledges agreement to the above license and warranty conditions. To obtain a registration key for Text Pro visit the Text Pro web site for further information. I think it is ok to post shareware or ”pay for” ware in this forum. But I think it would be nice if you clearly stated that it is in your download post. ...I think it would be nice if you clearly stated that it is in your download post. I agree. If this plugin is a "limited version" or crippled in some way you should tell the users exactly how that limitation applies, and how much it costs to remove the restriction. Added "free trial" to the thread title. Great looking plugin, but there is no way that I would even consider trying this out because I'm not paying for a plugin for a free program. I'd rather use the text functionality in GIMP. This gives Paint.NET a bad look to it. Yeah...I have to agree to Kemaru. That ain't something that costs 19 €, I can do those kinda text without your plugin in 2 minutes too. No offense...but yeah. Feel free to use this plugin or any other program to draw text. If you need some spectacular text effects you can save yourself a lot of time (2 minutes???) for 19 euro. What about all these Google ads and 'Donate' buttons everywhere? They don't limit the use of PDN and don't cost us time. Having a Google AdSense banner is common practice nowadays. Donating is totally optional, and it has no effect on the software at all. E: Oh, and I'm not trying to attack you or anything. I'm just saying the price is out of place for a plugin in my opinion. It's your plugin in the end. But I will not even download that one. :arrow: Because this idea to use a freeware program to earn money hurts my mind. :arrow: Because I suspect (may be I'm wrong) that this is the only finality of this plugin. :arrow: Because if I could pay, this would be for a complete program and not only a plugin. :arrow: Because this would be the first opened door for others. :arrow: Because the fantastic work made by Rick and others to offer us a free program could be forgotten. :arrow: Because I do net accept that anyone could earn money on the the free work of somebody else. Look, this guy is totally free to charge you if you want to use his hard work. Personally, I think it's an awesome idea. Why not profit from your hard work? In fact, there are quite a few plugins that should cost you money... like MKT's 3D plugin, for example. Any more complaints about this guy charging for plugins will get you banned from this site. Paint.NET makes plenty of money from donations. Plugin authors put a lot of time into writing and maintaining their work, and generally get nothing. Having a source of income is motivation to continue maintaining the plugin. Authors of free plugins continue to maintain their code out of the goodness of their hearts. We could easily choose to stop maintaining them. What difference would it make to us, other than suddenly having a lot more free time? Plenty of Photoshop plugins cost money. Why not Paint.NET's? I have been considering charging for something I'm working on. Get over it. What's wrong with asking for compensation for one's hard work? That's just stupid. It makes no sense. Paint.NET earns money. You think Linus Torvalds, the creator of Linux, gets nothing for his work? You think the Mozilla Foundation gets nothing for Firefox? Please, get your head out of your ... the sand. I do think 30 USD is a lot, and I personally won't be paying it. But I will defend the authors right to charge what he wants for his hard work. @pyro: I'd pay to use your plugins. ontopic: Your plugin looks nice. It might be good for warped text in particular. Begging the mods' pardon, I just wanted to ask for clarification of how long the free trial last. Is it a 30-day free trial period? What is the length of the limit before the plugin freezes up? Yes, I have read the author's first post, and Leif's post that quoted the license agreement, but I did not see anything that referred to a time limit. This plugin looks to be very promising since so many users have asked for text effect similar to Word Art that is used in Photoshop and Microsoft Word. You think the Mozilla Foundation gets nothing for Firefox? Mozilla makes $100 million+ per year on Firefox. Making money by giving stuff away for free is a profitable business model for many. 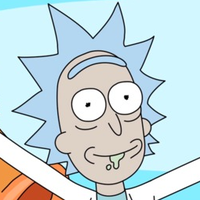 Paint.NET does indeed make me money, via donations and website ads. Do you think I would tolerate the spiteful and moronic comments over at http://blog.getpaint.net/2009/11/06/a-n ... ntnet-v35/ if I weren't? But yeah, charging for a plugin is no big deal. He won't get any preferential treatment though -- e.g., if I start getting lots of crash reports, then it'll be blocked in the next update just like any other plugin would be. Weird: I had to unblock this plugin. Bug: Only works on 32-bit editions of Windows. Worked fine when I used corflags.exe to force Paint.NET into 32 bit mode, and also when I forced TextPro.dll into Any CPU mode. You should compile with Any CPU. In the original program the Platform Target is x86 forcing the assembly to run as 32bit program. I fixed the problem but I'm not sure if it works well on a 64bit platform.